Almost two – three weeks ago, Apple released the new major iOS 5.1 update in the public during the announcement event of new iPad 3 in San Francisco. The new iOS 5.1 comes in a really surprising way, as Apple completely skipped the release of iOS 5.1 GM version to the developers and directly opted to launch the iOS 5.1 at the media event. Just like always, the iOS hackers quickly released public statements not to update the iPhone 4/ 4S & iPad 2 devices to the latest iOS 5.1 firmware version, as it expected to come up with a brand-new baseband update that for surely lock the million of iPhone 4S and iPhone 4 back on the carrier cellular and users again have to use their original service provider. Despite pre-announcements from hackers, still thousands of users have updated their devices to the latest firmware version. 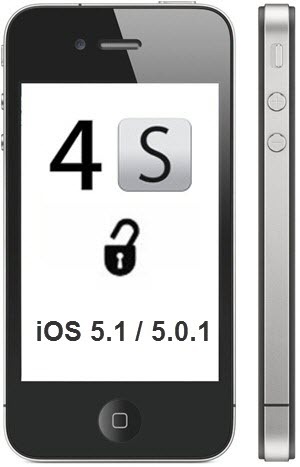 The users quickly jumped to the iOS 5.1 without even reading the complete informative notes from the iPhone DevTeam on which they have stated clearly that updating your device to the latest iOS 5.1 will cause you to lose your unlock status, and as well as the untethered jailbreak status on your devices. Hackers very deeply warned the users not to update their devices to iOS 5.1, as with the iOS 5, Apple blocked the Blobmonster feature, and there is no way to downgrade the newer generation devices to the older iOS versions, even with the saved SHSH blobs, and therefore, many users now stuck on the iOS 5.1 without even a jailbreak access to their devices. It is reported by the developers in the community that the users around the world quickly adopt the iOS 5.1 update, and forget about all the other things. The hackers and developer’s highlights the Over-The-Air updates feature behind this update rate, as many of the users do not familiar with the OTA updates, and to clear out the banners from the iPhone / iPad screen quickly pushes the update button to sort out the issue. So for those who are seeking to downgrade iPhone 4S / iPad 2 from iOS 5.1 to iOS 5.0.1 or iOS 5.0, there is currently no method publicly available to downgrade the later generation devices, so don’t ever waste your time in trying anything on your device. The new iOS 5.1 firmware update brings a lot of new challenges for the iOS hackers, and as well as for the baseband hackers and the developers over the Gevey SIM & TP-SIM labs. iOS 5.1 brings a new update to both iPhone 4 & iPhone 4S baseband’s, while the first baseband of iOS 5.0 on iPhone 4 is not yet completely unlocked, and most of the users are crying due to this, but on the same side, the iPhone 4S users are enjoying the latest iOS 5.x.x updates, as the iPhone 4S all baseband’s are completely unlocked with the Gevey SIM interposer. 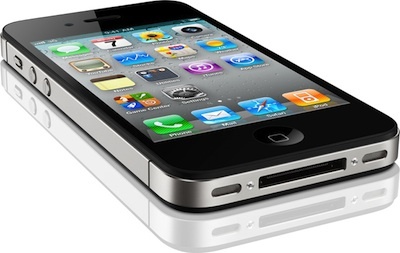 With the iOS 5.1 update, the iPhone 4’s baseband has been updated to 04.12.01 and the iPhone 4S’ baseband updated to 2.0.10. How To Unlock iPhone 4 Baseband 4.12.01 And iPhone 4S Baseband 2.0.10? However, many of you have been the same question running in your minds right now, just like you, we also have the same question in our mind, but along with this question we have some points to clear out some facts regarding the iPhone 4 and iPhone 4S baseband unlock on iOS 5.1. First of all, if you have ever upgraded your device to latest iOS 5.x.x firmware version, then you will be never able to downgrade your device. In addition to this restriction, let us remind you that from the very first day, there was not the solution to downgrade the baseband of your device, and especially the iPhone baseband so if you have upgraded your device to the latest iOS 5.1 without preserving the baseband, then it means you are running out of luck at the moment. To those who are looking for 04.12.01 iPhone 4 baseband unlock, the first iOS 5.0 baseband update is not yet completely unlocked, so definitely the newest baseband updates comes up with some more security over the chip, and no-doubt it would require a lot of time to unlock the baseband on the latest iOS 5.1 firmware version. On the other side, if you are locked on 04.11.08 iPhone 4 baseband with iOS 5.0.1, we will suggest you to stay there, as we have heard the couple of reports from the developers in the community that 04.11.08 baseband unlock is possible, and under the general testing. So it means that we can see unlock for 04.11.08 baseband unlock. There is a simple task to stay safe, just keep your phone away from the iTunes sync, and as well as ignore the iOS 5.1 update, because if you upgrade your device to the latest iOS 5.1, you’ll surely lose your unlock status.